The future is here! If you are one of the millions of physically unique individuals around the world that require the use of a prosthetic limb, prepare to be amazed. In fact, you will be amazed even if you do not wear a prosthetic limb. When prosthetic limbs were first created, they had seemed like something straight out of science fiction, but they have been a boon to countless unique individuals. Well, technology never stands still and designers, inventors and creative artists have not rested on their laurels either. No, sir, they keep pushing the frontiers of technology. The result is, physically unique members of society can easily obtain much less expensive and quicker prosthetics by way of 3D printing. You read that right: 3D printed prosthetics! I bet that made you sit up straight and take notice. It certainly boggles the mind. But how exactly does 3D printing and prosthetics work? Okay, you know what three dimensional means; you know what printing is, but what exactly is 3D printing, you ask? That is a very good question. With 3D printing, a thin plastic filament is melted. The melted filament is then squeezed through a nozzle. A computer-generated rendering is created, one layer at a time. The bottom layer is created first, and then successive layers are added in turn. Now you are thinking: So far, so good, but how does it work? Well, it is fairly simple actually. Let us say that you were going to create a 3D object: You would first of all create a virtual design of that particular object. To do this, you would build the virtual design via a 3D modeling program in a Computer Aided Design, or CAD file. The final model is then sliced by the software into many hundreds of horizontal layers. The file is then uploaded into the 3D printer, and the printer proceeds to create your object layer after layer after layer until — voila — a completed three dimensional object emerges! The layers are so seamlessly fused, they are undetectable by the human eye. All right, you are now 3D printing savvy, but now you are wondering: Why 3D printed prosthetics? Cost – A commercially-made prosthetic typically costs between $5,000 and $50,000. 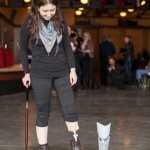 This means that untold numbers of unique people around the world are unable to afford the prosthetics that would greatly improve their quality of life. Contrast those costs with the cost of 3D printed prosthetics that costs only a few hundred dollars,and perhaps less than that.Indeed, an e-NABLE team of volunteers crafted a prosthetic hand that only cost around $50. Yes, just $50! You read that right. I had to pick my jaw up from off the floor when I saw the final cost. It just seems so incredible.The volunteers used 3D printed sections of the hand along with readily available connectors and screws. They are not stopping there, however. The team of caring individuals plans to develop an open source of hand design files for printing. That would be fantastic. So many lives could be changed for the better from such an initiative. Unique people around the globe can raise three cheers for technological wizardry — and three cheers for the selfless e-NABLE team of volunteers. Truly, they serve humanity. Speed – A 3D printed prosthetic limb can usually be made in a day. In comparison, it generally takes weeks or even months to produce and calibrate regular prosthetic limbs. Versatility – Prosthetics made from 3D printing can be easily customized, and created to suit the owner. Artistic, rugged, and specialty designs have been made to suit specific activity use, including outdoor activities such as biking. This level of customability would cost a fortune with current prosthetics. Growth – Given the fact that children grow like weeds — with no disrespect to the weed or to the child — a physically unique child will very quickly outgrow a prosthetic limb. Replacing the limb to keep pace with the child’s rate of growth until he or she reaches maturity can be a pretty expensive process, especially when you consider that the majority of insurance companies balk at paying for prosthetics for children because they outgrow the limbs so quickly. It really is not easy for families to pay out $10,000 or so every year, or every other year.No such problems exist with 3D printed prosthetics!The ease of production and the much lower cost of 3D prosthetics make it a much more attractive option. In addition, stretchable and expandable 3D prosthetics may soon be available for children. Such a device could “grow” with the child. 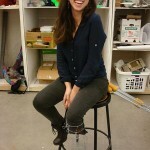 A grant-winning student has created a child’s 3D prosthetic that stretches and expands. That link is on our resources page. Comfort – Many physically unique wearers of conventional prosthetic limbs experience prosthetic socket discomfort.Research undertaken by a doctoral student at MIT involves the design and production of a more comfortable 3D printed prosthetic socket. This would make 3D printed prosthetic sockets far superior, comfort-wise, to regular prosthetic sockets. Born with his left hand missing, 53-year-old Jose Delgado Jr. has a lifetime’s experience of many different prosthetic devices. For the past year, he has had the use of a myoelectric prosthetic device that cost $42,000. Jose was fortunate in that his insurance company picked up the cost of this hugely expensive device. Many physically unique individuals are not so lucky. This myoelectric prosthetic device works by taking the signals produced by the muscle fibers within his forearm, and translating those same signals to move the fingers of the prosthetic hand mechanically. The prosthetic hand is actually a very good replica of a real hand. Anyway, Jose agreed to test the 3D printed Cyborg Beast prosthetic hand that was printed out by Jeremy Simon of 3DUniverse.org. When Simon met up with Jose, Simon was unsure how the 3D printed prosthetic hand, costing just $50, would compare with Jose’s Cyborg Beast hand that cost $42,000. After all, Jose’s job involved a good amount of lifting and other manual activities, so any prosthetic hand had to be up to such demanding tasks on a daily basis. Really, what chance did a 3D printed hand that was created from ABS plastic have against such an expensive prosthetic hand? Nevertheless, Simon fitted Jose with the 3D hand. Time passed — as it has a habit of doing — and Simon once again met up with Jose. Imagine how astounded and delighted Simon was when Jose told him that the 3D printed prosthetic hand had out-performed the prohibitively costly $42,000 myoelectric hand that he had been using for more than twelve months. Jose went on to tell Simon that he much preferred the 3D printed hand. Who would have thought it? Well, the upshot is: Simon is now in the process of printing a newer, stronger hand for Jose. Simon is using Bridge nylon, which is stronger than ABS plastic. As such, Jose will receive a new 3D printed prosthetic hand that is even more robust than the one he tested. Now, perhaps you are mostly convinced, but you are wondering what happens when breakage occurs. Yes, things break but, in the case of 3D printed prosthetics, a replacement can be printed easily and quickly. If only it were that simple to fix the broken shingles on the roof, or the massive dent in the car door. If you agree that Jose’s story is absolutely amazing, you can add your voice to the discussion about Jose’s experiences. It can be found at 3DPB.com under Delgado’s experiences. Jose’s story validates and recommends 3D printed prosthetics in a way that not even the slickest marketing campaign or advertising strategy could. The Cyborg Beast 3D printed prosthetic hand is the same type of prosthetic hand that was used in the Robohand project. These open source 3D printed hands have helped/enabled more than 200 people around the world. Not only are they very affordable, they are also extremely versatile and easy to use. At a cost of just a mere $50 to cover materials for each 3D printed hand, the cost of Jose’s myoelectric hand — $42,000 — could produce 840 of the 3D printed prosthetic hands. Jose’s story, above, is not a one-off by any means. An increasing number of physically unique individuals are reaping the benefits of 3D printed prosthetic limbs. For them, science fiction has become their science fact — their reality. Below, we meet eight people with a variety of 3D printed prosthetics, and we learn what kind of impact their prosthetic limbs have had on their lives. Amanda, standing in her ekso-suitAmanda’s Ekso-Suit was fully customized. Using data obtained from a full body scan, custom parts were printed to perfectly fit Amanda’s body. The addition of mechanical parts from EksoBionics provided the necessary automation. In this way, Amanda can safely move around on her legs, with the assistance of a pair of walking sticks. Amanda now has a new lease on life: She is one of ten test pilots who assist in the design and testing processes of 3D printed exoskeleton devices. I am sure you will agree that Amanda’s life has been transformed. The potential now exists for countless people with spinal injuries to regain their mobility, just like Amanda has. You can learn more about the device, and the mechanisms by which it works, at this website. Hayley Fraser Hayley, aged five, was born without fingers on her left hand. The condition, known as symbrachydactyly, left just a stump at the end of her arm. Hayley was so self-conscious about the stump, and she often attempted to hide it whenever photographs were taken of her, and at nursery school. Not anymore! Hayley is now the proud owner of a girly-pink, 3D printed prosthetic arm. She is the first British child to receive such a device. 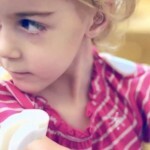 E-Nable, a charity based in the United States, made the arm for Hayley, after the British National Health Service turned down her parents’ request for a prosthetic. The team of volunteers took inspiration from the Iron Man super-hero in their creation of Hayley’s arm. A happy and confident Hayley now likes to show off her very unique limb. Her dream has come true and her self-esteem has skyrocketed. She can now do things that other children who are not physically unique take for granted: Hayley can hold her teddy bear. She can even peel a banana by herself and — wonders never cease — she can now paint her nails. Hayley feels very special indeed. When Hayley, from Inverness in Scotland, was three-years-old, doctors in Edinburgh suggested transplanting a toe to her left hand, which they would turn into a finger. However, her parents searched for other options. Through an Internet search, they learned about E-Nable. Hayley was matched with a volunteer at the University of Wisconsin, Professor Frankie Flood. A plaster cast of Hayley’s arm was sent across the Atlantic Ocean to Professor Flood. He made the 3D printed prosthetic parts and created Hayley’s extraordinary pink and purple arm. The whole process took just six weeks. Extraordinary! Hayley’s hand is controlled by her wrist: Her fingers close with the downward movement of her hand, and her fingers open with an upward movement of her hand. Thanks to E-Nable, Hayley is now a true Wonder Girl — and probably the envy of all the other children in her school! Little Emma was born with a rare condition that negatively impacted her muscular strength and limited her mobility. The medical name for Emma’s condition is arthrogryposis multiplex congenital. As her mother Megan Lavelle tells us in a heartbreaking YouTube video, Emma’s shoulders were rotated and her legs were up at her ears when she was born. As she grew, Emma was able to slowly gain control of her lower limbs, but it soon became evident that she would never gain control of her arms. Emma could not wipe away her tears by herself. She could not feed herself. Emma could not color or draw pictures like other little girls and boys. Drawing However, that all changed when her mother learned about Wilmington Robotic Exoskeleton (WREX) when she attended a family conference. Working at the Nemours/Alfred I. DuPont Hospital for Children, Tariq Rahman and Whitney Sample created the WREX, and they invited Emma to try out the early prototype of the device. When Emma tried it, she was able to raise her hands to her mouth for the first time in her short life. It was a truly inspiring and heartwarming sight for all the people involved. As joyous as that occasion was, the prototype WREX was too big and heavy for a little child like Emma. Undaunted, Tariq Rahman and Whitney Sample set about creating a smaller WREX that Emma could carry around quite easily. Now, Emma has complete bodily independence that allows her to use her arms as well as her other limbs. Emma can play using her hands, she can feed herself and she can wipe away tears of joy from the happiness that she derives from her “magic arms” — as she calls them. Thanks to its ease of customization and manufacturing, the device is super easy to produce. Natasha Hope-Simpson A 24-year-old artist and musician from Wolfville, Nova Scotia in Canada, Natasha was involved in a hit-and-run collision between two cars. After Natasha underwent a total of eight surgeries, doctors concluded that her badly mangled leg could not be saved. Amputation was the only viable option that remained. So, amputation it was! Even so, big-hearted Natasha is filled with the most amazing grace. She has found it within herself to forgive the driver of the other car that destroyed her leg. Incidentally, to date, the driver has not been found. Equally, Natasha did not give in to despair. Instead, she looked toward possibilities. With her creative instincts bubbling inside her, Natasha sought to design a better-looking prosthetic limb than the one she was given. Through a number of contacts, and contacts of contacts, Natasha eventually collaborated with Mike Fanning at NovaCad: 3D Systems reseller. Other interested parties also provided assistance and, a laser scan was made of Natasha’s good leg so as to fully capture her body’s symmetry. Ultimately, Jourdan Dakov and Kendall Joudrie of Thinking Robot Studies created a stable prototype in consultation with Natasha. The actual aesthetics was left to Natasha. Whilst she had a ton of ideas, Natasha did not have a lot of time. 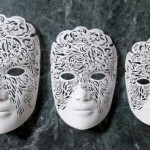 She had been attracted to some Dreamer/Nightmare masks at Shapeways. Learning of Natasha’s story, the artist at Shapeways donated the design to Natasha’s project, and the mask-inspired 3D printed prosthetic was born. With her printed legThe complete design and engineering process for Natasha’s prosthetic took just 15 days from conception to production. Through Natasha’s creative vision — a vision that was born of adversity, loss and heartache — other owners of 3D printed prosthetics will benefit from Natasha’s aesthetically-pleasing limbs as they become widely available. As for Natasha, she has found a new purpose in life. With the creative team working with her, she is a woman on a mission. Natasha’s whole approach to the tragedy that entered her life is truly inspiring and uplifting. We can all learn something from Natasha’s can-do spirit and determination. Liam is a small boy in South Africa. He had no fingers on his right hand, and wasn’t able to ride a bike or do a number of other things like other boys his age. That has changed, however. Liam is now a happy, smiling boy in possession of a 3D printed mechanical hand. In fact, Liam received two prosthetic hands: The Talon and the Talon Beast , giving Liam a choice of which hand to wear at any particular time. How did this come about? Well, Liam is one of the recipients of the Maker movement, “Give your neighbors a hand.” This movement within the E-Nable community has become a global phenomenon. Prop Maker has promised to create new hands for Liam until he becomes an adult. Such generosity is remarkable indeed, especially when you consider that the devices have to be shipped over a distance of 10,000 miles! 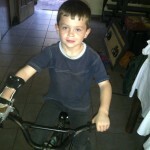 Liam is now a beaming little boy as he rides his bike and shows off his new hands. They are hands that were made by people he has never met, and who gave of their time for a child who was a world away. Howard Kamarta A year ago, Howard Kamarata, a United States Navy veteran, was doing some carpentry work when a freak accident led to the loss of four fingers on his left hand. Surgeons were able to save his little finger, but Howard was left with 3 nubs between his thumb and pinky. A married man, Howard had even lost his ring finger! At a church function the following week, Howard and his wife Pat met Casey Barrett. Casey is an industrial designer, and he had seen a YouTube video of young Liam in South Africa, and learned about Liam’s 3D printed prosthetic hands. Wishing to help Howard, Casey Barrett accessed files for a partial finger prototype and created a partial finger 3D printed prosthetic for Howard. Testing his new fingersThe two men are now collaborating on the creation of 3 different segments in each finger, using similar flexible material to that used by the Flexyhand design. In the meantime, Howard is enjoying the use of his new fingers and learning to use them for more things with each passing day. He does not have to rely on others to pick up things such as cups and bottles for him, and he can even play cards with his buddies once again. 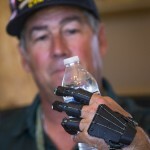 Howard had thought many activities were lost to him after the accident occurred, but 3D printed prosthetics have restored normal functions to his hand. The two men have now formed a partnership with Matt Augee of RecFX Foundation. They have a vision of creating free 3D printed prosthetic hands and fingers for anyone in need. Their particular focus will be on veterans and military family members. Alex Pring Six-year-old Alex was born with a partial right arm, and a prosthetic limb was too expensive for his family, especially when their insurance company refused to cover the cost. In an effort to help her son, Alex’s mother, Alyson Pring, contacted an online community that specializes in making 3D printed prosthetic hands. A doctoral student, Albert Manero, read Alyson’s letter and was moved to help. 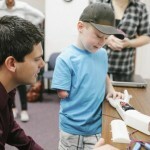 Albert Manero and a group of fellow students at the University of Central Florida got together and, over the course of seven weeks, built a 3D printed prosthetic arm for Alex. It cost only $350 to build, a mere fraction of the $40,000 that a conventional prosthetic would have cost. Alex is extremely pleased with his “robot arm,” and says it is “not even heavy.” Alex is happy that he can now “feel” things. Leon McCarthy When Leon was born, he had no fingers on his left hand, but his family could not afford the many thousands of dollars that conventional prosthetics cost. After a search on the Internet, Leon’s father found the answer to their prayers. It came in the form of a YouTube video that showcased the work of Ivan Owen. Owen had used a 3D printer to make a prosthetic hand for a five-year-old boy back in 2011. Leon’s father was inspired: He used the 3D printer at Leon’s school and, following Owen’s directions, he created a prosthetic hand for Leon. Now, the 12-year-old can draw pictures, hold bottles, pick up food and do all the things that others take for granted. Furthermore, the father wants to use his new-found knowledge and skill to help others who are in need of prosthetics. There seems to be a snowball effect to 3D printing technology. Overwhelming, it seems that people who have been helped by the 3D printing technology want to go on to help others. 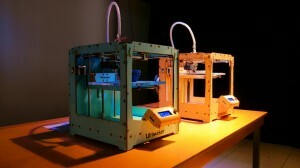 This is a fantastic way to help the 3D printing revolution expand. In the exciting world of 3D printed prosthetics, countless volunteers, companies and organizations have given of their time, expertise and creativity to help others. E-NABLE – E-Nable’s global community of volunteers has created many varieties of 3D printed prosthetics. Not only that, they have made the files available for download by anyone who wishes to create or further improve the devices. The files are completely free to download.The volunteers are dedicated to helping as many people as possible to live richer lives via 3D printed prosthetics. E-Nable volunteers have worked tirelessly to bring prosthetics to men, women and children who would otherwise go without the aid of artificial limbs. There is a design to suit almost any requirement, and they continue to push forward with the creation of even more designs.Long may the seeds of human kindness grow within the E-Nable community! I think you will agree with me that they are a group of truly inspiring individuals who dare to make a difference. Visit this website to learn more about E-Nabling the future. You also have the option of signing up for blogs, following the movement on Twitter/Facebook and making donations if you so wish. This is a cause worth supporting in every way. The somewhat limited scope of this article means that not every worthy individual, group or organization can be mentioned. For this, apologies must be made to the countless and nameless individuals who have been left out. Your work is no less valued, and your efforts are truly life-changing. We thank you for all that you do. The benefits of 3D printing are not confined to the prosthetic revolution. 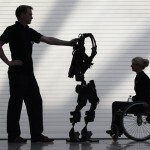 The technology is changing perceptions and expectations, and it is not just about prosthetics. 3D printing can be used to create a variety of bodily organs and anatomical parts. Currently, 3D printing is being used to make a variety of medical implants, and they fit better than older cranial implants that are known to cause seizures or to block blood vessels. According to Professor David Dean at Ohio State University, the problems that plagued older technology are a thing of the past. He states that 3D printing has given major hospitals the ability to use specially-printed implants that are customized to each patient. These new implants are typically printed and delivered to hospitals on the same day. 3D printing is proving to be a boon particularly in pediatric medicine. It has been reported in the British press that each child that suffers the loss of an ear, or those who have disfiguring ear injuries or defects, will be given 3D printed ears in the near future. Scientists have developed an exciting and ground-breaking technique that they will use to correct the defects. The team of scientists at University College London, led by Professor Alex Selfalian, discovered that it is possible to print the structure of the ear using a type of biological “ink” that builds up layer-by-layer to form the shape of the ear. The ear would then be implanted in the arm, under a flap of skin. It would be left there to develop blood vessels, and after a period of time the ear would be attached to its usual position at the side of the head. The technology has already been shown to work. Indeed, ears have been grown on the backs of rats, and it is just a small step to apply the technology to human beings. Human trials are to begin in the very near future in the United Kingdom and in India. The technology has widespread application, especially as a great many children are born without ears in India and other parts of Asia. In fact, the problem is massive, and the need is pressing. Indeed, there are already numerous children in Mumbai waiting to take part in the upcoming trial, so dire is the need there. The current procedure for replacing or repairing ears involves the process of removing cartilage from another part of the body, such as the rib. It is a rather involved procedure that is both invasive and painful for the patient. With 3D printing, being able to just print off an ear using 3D printing technology means that the surgeon would only have to perform one operation, compared to the four or five operations that are currently necessary. It is easy to see, then, that 3D printing can save each child a lot of fear, pain and discomfort. With the 3D technique, scientists scan the undamaged ear and then flip the picture, thereby creating a mirror image copy to make a life-like ear. 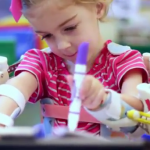 The 3D printing revolution has given rise to some heartwarming and inspirational stories about the recipients of 3D printed prosthetics, and the people and organizations that made their dreams a reality. The remarkable thing is: The revolution is still in its infancy, and will grow by leaps and bounds. The metaphysical poet, John Donne, had written that “no man is an island” and the volunteers and organizations mentioned in this article certainly epitomize that phrase. The phrase seems to have become their creed as they help people around the world live more fulfilled lives. In a world of wars, conflict, accidents and physical uniqueness, there is hope. From the soldier who has lost a limb in battle, to the victims of mine explosions sin Africa, to the children born without limbs or digits, there is hope. For those who cannot afford conventional prosthetics, or those who do not have access to the technology, there is hope. That hope is contained in these few words: 3D printing and prosthetics. Open source designs and 3D printed prosthetics will not be able to help everyone who has a need, but it offers hope to many who had previously been without hope — and what is life where there is no hope? 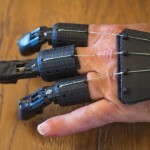 3D printing and prosthetics is the promise of the future — and the future is here!